Thunderbolts Forum • View topic - The Parker Solar probe could help eliminate EU solar models. The Parker Solar probe could help eliminate EU solar models. I think we all would agree that Birkeland currents form "circuits" that wire suns and various galaxies together. That's pretty much a given in all EU/PC cosmology models. One of lingering debates in EU/PC theory however is whether the sun's surface acts as an anode (Ralph Juergens) or a cathode (Kristian Birkeland) with respect to space, or whether it acts more like a homopolar generator (Hannes Alfven) with respect to other circuits in space. There's also some debate as to where the electrical energy of the universe is ultimately generated inside of suns as Birkeland/Alfven? predicted or whether external currents from space "power" the suns as predicted by Juergens. The Parker Solar probe, ACE and other such satellites in space do however offer us some in-situ measurements that might enable us to differentiate between these various models. The fundamental assumption that Birkeland made was that "space" was positively charged with respect to the sun's surface. This prediction seems to be supported quite well by the fact that 99 percent of the measured cosmic rays that bombard our solar system are positively charged ions, with the remaining 1 percent being pretty evenly split between electrons and positrons. That observation would suggest that "space" is indeed positively charged as Birkeland predicted at the highest particle energy levels. ACE and other satellites in space have also measured the movement of charged solar wind particles as well as higher speed "strahl" (cathode ray) electrons which all appear to be moving primarily *away* from the sun, just as Birkeland also predicted with his cathode surface model. As I understand Juergen's anode model, it predicts that while positively charged ions should flow away from the sun as observed, electron flow should be moving primarily toward the sun. Are there any observations which support that electron flow pattern prediction? Am I oversimplifying that prediction somehow? I'm really hoping that the Parker Solar probe will not only able to measure the electric fields that surround the sun, but it will also able to determine the electric field alignments as well. That might also enable us to differentiate between an anode and cathode configuration. The other primary question here is whether the sun acts as an electrical generator as predicted by Birkeland/Alfven or whether our sun acts more like a resistor in Juergen's model. I can see how an electric universe gets it's electricity if it's powered by an almost infinite number of localized solar generators which all contribute to the larger circuit energy, but I'm less clear about the ultimate power supply in Juergen's model. Where would the electrical energy ultimately be generated in a solar resistor type model? Last edited by Michael Mozina on Mon Dec 17, 2018 1:40 pm, edited 2 times in total. It's worth noting that a number of "mainstream" papers going back to the 1920's predict that he surface of the sun should have a net negative charge due to the fact that ions are much heavier than electrons, and predict that gravity should result in some amount of charge separation between the core and the surface. Such papers however tend to ignore the fact that cosmic rays which bombard the sun peak at approximately 1Gev when discussing the sun's surface voltage, and they therefore ultimately grossly underestimate it's surface charge with respect to space. I can understand how gravity might help to generate some amount of charge separation in the sun, resulting in a net negative charge at the surface and a net positive charge in the core, but I'm unclear as to why the solar surface would have a net positive charge in Juergen's model. Could someone explain that to me? Mainstream myths are repeated over and over again until it seems reality. So I do not think Parker will change anything with the mainstream. The first thing that I saw from Parker was a statement about "magnetized plasma". I started asking about it on reddit, but no-one could explain it properly. "It is just a property of plasma", was the answer. Which is like saying: "it is just magic". See "magnetic reconnection" and such to see my full criticism on this huge error. "the corona is so much hotter than the surface"
close to the temperature of the sun. A spectral line that is common in a chemical reaction. The chemical reactions that he found also show that two electrons are commonly exchanged. This might be related to a electrochemical reaction, between different layers of the sun. Now to the EU models. Michael Mozina wrote: I think we all would agree that Birkeland currents form "circuits" that wire suns and various galaxies together. That's pretty much a given in all EU/PC cosmology models. I think that this is how it works. The solar plasma reacts very similar as in the video. All circuit solutions also need a driving mechanism. A force that drives the current in the circuit. This can either be a changing magnetic field, or a static electric field. The changing magnetic field can be caused by a current, which can be caused by circuit. The static electric field can be caused by charge separation. and probably a lot more. For me it is clear that charge separation drives the plasma ropes on the sun. The physics is very clear on that. The galactic currents could be caused by declining magnetic fields or rotating charged objects. This probably combines well with "dark matter" in galaxies. The electrical circuit of the solar system is still not clear for me. Is it part of the galactic electrical system, like a xmas light on a long wire? Is the sun causing charge separation by expelling charged matter (solar wind) in different directions? It could even be both, where the galactic system causes solar cycles. Actually, if we take the idea of gravitational charge segregation, but apply it on the scale of the whole solar system ( not merely on the scale of the sun), we can explain the flow of ions,electrons, and neutral particles within the heliosphere. Zyxzevn wrote: Mainstream myths are repeated over and over again until it seems reality. You're absolutely right of course about the fact that the mainstream continues to dumb down a fundamentally *electro*magnetic process into a purely "magnetic" viewpoint, which is both sad and misguided. While Maxwell's equations can be converted to either an E or B orientation from the standpoint of mathematics, there are real physical electrical fields involved in the particle acceleration processes. In fact it's the E field that exists between the surface of the electrode and space which generates the atmospheric particle movement and which results in the creation of magnetic fields in and around Birkeland currents flowing through the atmosphere. The electric field sustains those current flows and those magnetic fields over time. The SAFIRE experiments have verified that the outer plasma double layers can be and are much hotter than the surface of the electrode itself. In fact that surrounding plasma must be hotter since there's a lot of kinetic energy flowing through the plasma in these regions and the current is much more concentrated closer to the electrode. The electrode is more dense than the atmospheric plasma and each ion in the atmosphere is being bombarded by electrons amd carrying a lot of current. I'm quite sure that the plasma atmosphere is hotter than the actual electrode in either configuration (anode or cathode). This does however seem to be a problem for the mainstream. They can't seem to accept the fact that in plasma, you can't sustain a magnetic field without current and an electric field that sustains that continuous flow of current. That is the Achilles heal of their whole "magnetic reconenction" argument. If you look at their so called "experiments" on magnetic reconnection in the lab, they're entirely driven by an electric field that generates the so called "magnetic lines" they create in the plasma which are better and more accurately described as Birkeland currents. When they move the two currents close together, the current simply takes a path of lesser resistance, and the circuit layout/topology simply changes over time. They call that circuit reorientation "magnetic reconnection" while ignoring the electric field that sustains the whole process from start to finish. Turn off the E field and the two "magnetic lines" disappear instantly, and the whole experiment comes to a screeching halt even before they try to move the currents into close proximity to each other. Some of their experiments use strong electric fields to generate strong magnetic fields and they then '"turn off" the current flow and allow the magnetic field changes to "induce" particle movement in the conductive plasma. Even in that case, it's the electric field that changes first and that ultimately causes the whole induction process to occur in the first place. In both cases it's the electric field that drives the kinetic energy parade, not "magnetic reconnection", even in the induction driven experiments. Emphasis mine. I frankly don't even understand how the mainstream can continue to overlook that issue to start with but they try very hard to do just that. They seem quite willing to overlook the fact that even a single magnetic "rope" is already heated to millions of degrees even *before* it supposedly "reconnects" with another magnetic rope. The current flowing through the rope sustains those high temperatures and the magnetic field in individual ropes. Somehow they simply ignore that point. It's true that objects in space tend to rotate, and rotating (changing) magnetic fields would necessarily induce current flow in the surrounding plasma environment. That is the basis of Alven's homopolar generator concepts in fact. I am however skeptical that induction processes alone would generate enough current to sustain the power to every sun in the galaxy. Even if there is an extremely massive object in the core of every galaxy that rotates close to the speed of light, that rotational spin energy would eventually be converted to current and the rotational energy would eventually dissipate over time and galaxies would grow dimmer over time and eventually go dark. That doesn't seem to happen. Alfven also began his cosmology model with a preexisting field of 'ambiplasma" composed of both matter and antimatter. Presumably that original body of ambiplasma might help sustain the current flow process over time, but again we're facing a scenario where the ambiplasma eventually gets used up and there's no more flow of current to sustain the suns. IMO I think Birkeland was correct that every sun is its own power supply. Fusion may in fact be the ultimate power source of the sun. In fact, fusion could occur all throughout any electric sun model in plasma pinches that are happening everywhere inside the photosphere of the sun, not just in the core as is the case with the standard solar model. I assume that local/internal fusion processes would necessarily play a significant role in the sun's overall energy output, regardless of whether it's an anode or a cathode at it's surface. I guess I'm "optimistic' about the Parker Solar probe program because that satellite has the ability to directly measure electric fields and it's going to travel into a region of the sun's atmosphere which should contain relatively strong electric fields. It's hard to measure electric fields without going into the field itself, which the Parker probe is going to do (has done in fact). In theory at least it should be difficult for the Parker team to ignore the electric fields that exist in and around the corona. I suppose we will just have to wait and see what materials they publish over time. I suspect they will try to stick with "magnetic reconnection" as the cause of the kinetic energy process for awhile, but I suspect that it will be difficult to continue to ignore the presence of strong electric fields near the sun. I'm hopeful they'll at least begin to embrace the *electro* part of the electromagnetic processes in the solar atmosphere and stop trying to dumb everything down to magnetism alone. In either case, they should be able to determine the orientation of the electric field which should allow us to eliminate one EU/PC model or the other. Ultimately however they'll need to embrace the *electric horse* and accept the fact that the electric horse generates the kinetic energy to generate and sustain the magnetic cart. Right now the mainstream continues to try to put the magnetic cart in front of the electric horse and they don't understand why it doesn't work right in the lab to generate and sustain a full sphere hot corona over time. That change in thinking isn't likely to occur quickly, but it is inevitable IMO. I'm at least hopeful that they'll notice that they have magnetic cart in front of the electric horse and they'll eventually fix their obvious error. I'm also optimistic that they'll be able to tell us whether the surface as as an anode or as a cathode with respect to "space". That answer alone is well worth the cost of the whole program IMO. One of lingering debates in EU/PC theory however is whether the sun's surface acts as an anode (Ralph Juergens) or a cathode (Kristian Birkeland) with respect to space, or whether it acts more like a homopolar generator (Hannes Alfven) with respect to other circuits in space. I hold an alternative view to the solar "circuit" and to the sun as anode or cathode. I think designating the sun as an anode or cathode is misleading for the reason there does not seem to be a classic "CIRCUIT" per se. In a basic circuit there is a power source presenting a voltage at two distinct terminals and a load connected also to the same two terminals. The power source is separate from and outside the load. Current flows in a circular fashion from one terminal, through the load, through the second terminal back to the power source. But, our solar system is enclosed by a single spherical terminal, the heliosphere. There is no second terminal. Everything else about the sun is completely inside the heliosphere. The solar system is an organic electrical event. chromosphere, corona. If the sun is a "terminal", an anode or a cathode, which part is the NODE ? Which part is the DISCHARGE ? The galactic and solar electrical systems each have circuits, but they are not like our man made circuits. they are self regulating, operating in free space. The circuit parts need new names. Also, what is going on in the globular cluster galaxies ? How does the pinched Birkeland current work there ? I think suns are externally powered, but there is a lot more to find out than anode or cathode, and we might have to give up on both. EU/PC based on electricity/plasma, which depends Charge Separation. But Charge Separation occurred due to electrical powered physics (thermal, spin, gravity, etc). This violate Energy Conservation Law of Thermal Dynamic, wherein a system can't perform work on itself. To cheat this violation, one might need to invoke an external power source and sink circuit, either outside of observable universe or existence of extra dimension. Robitaille blasted main stream sun gravitational collapse model on this same violation. The charge is already separated in plasma, which forms double layers between regions of opposite charges. These double layers are able to accelerate charged particles. That is the way an ion thruster works. Besides that plasma forms complex structures and the best thing to do is prepare to be constantly surprised by lab results, and let them be the guide. The sun and galaxy are in circuits, but they are plasma circuits. So this indicates that gamma ray bursts of incredible magnitude release more power than the star has by itself. A lot of gamma ray bursts picked up by Fermi were from sources that were so faint that it was hard to even detect them before they exploded. "A recent Picture of the Day discussed the way that supernovae explosions occur in an Electric Universe. Instead of the traditional explanation that involves gravity and “core rebound”, supernovae are short circuits in a star’s capacitive attribute. Electric flux from galactic power generation builds up, until the accumulated charge overcomes a star’s dielectric insulation, causing the energy of a vast interstellar circuit to focus at one point." jacmac wrote: I hold an alternative view to the solar "circuit" and to the sun as anode or cathode. You're probably correct. I think it's entirely possible that the sun experiences the flow of incoming electrons near the poles. I have read some articles from ACE about "strahl" electrons flowing inward toward the sun near the poles. That may be where the circuit closes again. chromosphere, corona. If the sun is a "terminal", an anode or a cathode, which part is the NODE ? Based on Heliosiesmology data, I would say that the actual electrode is located about 4800 KM underneath of the surface of the photosphere which is where the coronal loops originate and terminate. The coronal loops are "arc discharges" IMO. The whole surface however acts like a cathode relative to "space", just as Birkeland predicted. The discharge to space is continuous. Which part is the DISCHARGE ? Technically the whole atmosphere is experiencing a "discharge" originating from the electrode/cathode surface toward the heliosphere IMO. The most obvious discharges occur in coronal loops where we see plasma that is heated to millions of degrees and sustained at those temperatures for hours and days on end. Only a powerful discharge process could result in those million degree loops being sustained for such long periods of time. Even some type of magnetic field induction process would only produce a very time limited amount of heating. I think the sun probably does act a bit like a homopolar generator as Alfven suggested, with current coming into the sun at the poles, so it's probably not quite as simple as just assuming it's a pure anode or cathode. However, I do think that we can look at the particle flow patterns and the electric field orientations to determine whether Juergen's anode surface model is a more accurate model or whether Birkeland's cathode surface model is a better starting point. I would tend to favor the notion that "Space" has a relatively "positive" charge with respect various objects in space, if only because 99 percent of cosmic rays are ions, and the remaining 1 percent is relatively neutral, being composed of both electrons and positrons in pretty even numbers. I strongly believe that Birkeland was correct and that the electrode surface, wherever that is located, is charged negatively in comparison to space and compared to those high speed cosmic rays that bombard our solar system 24/7. The outbound particle flow patterns of the sun also seem to confirm Birkeland's predictions that the sun should be emitting both types of charged particles toward the Earth. He also correctly predicted the sun's polar jets, and electron beams that have been documented to be coming from the sun. IMO Birkeland was more than a century ahead of his time as it relates to solar physics. He was about 50 years ahead of his time with respect to field aligned currents near the poles of Earth. That particular prediction couldn't be confirmed until satellites in orbit around the Earth finally confirmed their presence. It's taken more than 100 years to get a satellite into the solar corona to actually be able to measure the electric fields in the solar atmosphere. I expect the Parker Solar probe to confirm the presence of his predicted electric field, as well as the orientation of that field. We'll have to wait and see, but the Parker team should already have some very interesting and useful data from it's first pass through the solar atmosphere. I'm very pleased that the PSP survived it first close pass around the sun, and I'm excited about the prospect of it getting even closer in future passes. The sun seems to be cooperating too in the sense that it's been rather quiet recently, providing pretty safe passage through the upper atmosphere. I think the next cycle peaks in 2022 as I recall, and the PSP is expected to pass though the upper solar atmosphere many times over the next 7 years. I just hope it survives that long. 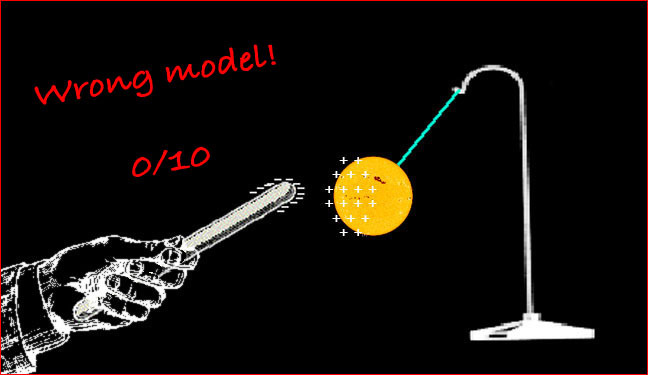 IMO it would be a very good thing if we could eliminate one or more of the three major solar models that have been associated with EU/PC theory, and the Parker Solar probe should make that falsification process possible. I think the sun acts predominately as a cathode with respect to space, but I believe that Alfven was also correct that the sun acts like a homopolar generator, with electron inflow taking place at the poles, allowing the sun's circuitry to share power with the rest of the universe, and closing the "circuit". It also makes logical sense to me that suns typically act as power *generators*, not simply as net resistors. Size could however play a role in that process. Time will tell. I do think that the PSP is likely to revolutionize solar physics and the Webb Telescope is likely to revolutionize cosmology as a whole. These should be a very exciting next decade for astronomy. I hope they will use the raw data and not "correct" it to match their false expectations as they sometimes do. Brigit Bara wrote: The charge is already separated in plasma, which forms double layers between regions of opposite charges. These double layers are able to accelerate charged particles. That is the way an ion thruster works. Does that mean that you think that double layers cause charge-separation? As I understand it, the double layers are caused by electrical fields and related electrical currents. This means that the double layers are the result of charge-separation, not the cause. MotionTheory wrote: EU/PC based on electricity/plasma, which depends Charge Separation. But Charge Separation occurred due to electrical powered physics (thermal, spin, gravity, etc). This violate Energy Conservation Law of Thermal Dynamic, wherein a system can't perform work on itself. To cheat this violation, one might need to invoke an external power source and sink circuit, either outside of observable universe or existence of extra dimension. The thermodynamics tell us a lot about the distribution of energy. The input of the energy comes in my opinion from nuclear reactions. But does this cause charge-separation or electrical currents? I think it needs another process. jacmac wrote: The galactic and solar electrical systems each have circuits, but they are not like our man made circuits. I like the x-mas lights name, it fits the season. Maybe with neon plasma lights. no need to invent something strange or mystical. We can use plasma tubes and everything. This is how Birkeland showed the solar circuit in his Planeterella. What kind of circuits would you propose? Yes sir zyxzeven, in some ways I do think of double layers as "separating charge," and that you may be right that I have not been careful enough in wording this. But I do not mean that electrons have been separated from protons in a previously neutral matter. I just meant that plasma has a cellular organization. A plasma sheath forms around charged objects within a plasma. Two examples are the plasma sheath around Venus which separates it from the solar plasma, and I think the plasma sheath around the sun. Charged bodies embedded in plasma create about themselves a protective cocoon of plasma, rather like a living cell wall. This cell wall is known as a Langmuir plasma sheath, or ‘double layer,’ which contains most of the voltage difference between the charged body and the surrounding plasma. Only an electric current sustains the charge separation across the double layer. Plasma is self-organizing and because it forms these cells I have always thought of it in terms of some small amount of charge segregation, but the point is that it is everywhere and makes up 99% of the universe, and has wonderful structures. You don't have to separate charges to get plasma in the universe. It is already there, and it is conducting electricity. I was responding to this comment: "EU/PC based on electricity/plasma, which depends Charge Separation. But Charge Separation occurred due to electrical powered physics (thermal, spin, gravity, etc). This violates Energy Conservation Law of Thermal Dynamic, wherein a system can't perform work on itself..."
But "there is little matter in the universe now that does not exist in the plasma state. The observed stars are composed of plasmas, as are interstellar and interplanetary media and the outer atmospheres of planets. Scientific knowledge of the universe has come primarily from studies of electromagnetic radiation emitted by plasmas and transmitted through them and, since the 1960s, from space probes within the solar system." Britannica. The plasma already makes up the the observable universe, and what is left is to try to understand the electrodynamics. EU/PC does not rest on electrostatics. Fundamental field of ANY current physics model - mainstream, eu, pc, string, .. - violate energy conservation law. A field consists of X (something). X has dimension because X can be combination of force carrier and maker which is physics itself. X therefore bounded by Y (aether or just name whichever medium/filler/space) via equilibrium pressure between X & Y. X has shape/geometry and in motion, therefore interface pressure is dynamic, which guarantee fluctuating pressure interface. X has to perform WORK on itself, therefore violation taken placed. It is not possible to eliminate Y from the picture because X's boundary has pressure, which can't exists in isolation (can't have a closed/bounded system without the ambient/bounder). It is much easier to observe and discuss high level composite physical affects but w/o a working physics model, the world is spending time on WAG physics models. At a glance/quick-read, I understand that this post will strike as reductionism and a bit of nonsense/craziness. oh well ymmv. I wonder if they will come up with anything to confirm that the surface of the sun is actually liquid, and not solid or plasma? Saw a great presentation by Robateille, where he showed a SOHO shot at the moment of a Solar Flare and the lateral waves were clearly visible - just like pebbles into a pool. You will never get a man to understand something his salary depends on him not understanding. The sun is an electric plasma event. It is not a circuit. It is not a resistor in a circuit. It is not a generator in a circuit. This is exactly what I suggest. The human body has two basic methods of sustaining life. Food enters one terminal, is consumed,(used like a resistor), then leaves at the second terminal. The system is circular; thus a circuit. Air enters our lungs, we capture some of it. The rest is expelled... through the same terminal. It is not a circular system. It is not a circuit. I am saying the sun is of the second type. It is the protective cocoon, we call a "double layer". It is the spherical Langmuir plasma sheath which contains "most of the voltage difference between the charged body and the surrounding plasma". "It is rather like a living cell wall."